Thanks everyone for making Earth Day 2016 such a great event! In this first monthly newsletter, we have several exciting announcements! Each month we will be offering a discussion relevant to our community. The series starts July 7th. The environmental cause is growing, and it must be inclusive to grow–we know it must. 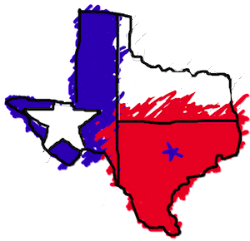 But the word “inclusive” can cut both ways, especially here in Texas, a primarily Republican state. How do we keep pushing our sustainability issues forward while navigating the Texas political environment and all that it brings? Join us for a panel-led open discussion on how environmental causes best coexist and progress in a state like Texas. We need environmental leadership from “both sides of the aisle” and we need to move fast at bringing everyone to the table. That means working with people we don’t see eye-to-eye with on every issue. Where do we draw lines? Do we let others draw them for us? What is the balance? Snacks and beverages are generously sponsored and catered by Barr Mansion. Join the conversation, network with others from Austin’s environmental leadership and make new friends at this Austin Green Room networking series. Congratulations to 2016 Supporting Sponsor Freedom Solar. Last Saturday, Strictly Pediatric Center cut the ribbon on Texas’ largest solar installation to date. The 812 kW installation will offset about 50% of Pediatric Center’s electrical usage. It was a kid-friendly event (with snow cones) and true celebration of a victory for Texas! We’re bringing back an old favorite! Get to know other environmental leaders over breakfast. This smaller format networking event is an opportunity to sit down with a small group and do some real power-networking with other eco-conscious professionals. 8 seats available for each event. 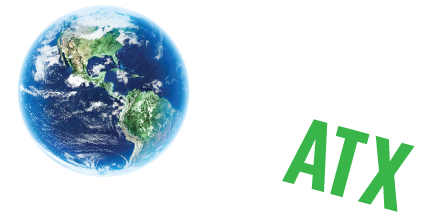 To reserve your spot, visit the Green Eggs and Ham Page on the Earth Day Austin website. Videos from Earth Day 2016 are up and ready to view! Click here to watch great clips of exhibitors, activities, music and the aerial photo! Go to this link to see the videos! Thanks again to this year’s Premium Sponsors! Earth Day would not be the same without your support! Copyright © 2016 Earth Day Texas Austin. All rights reserved.